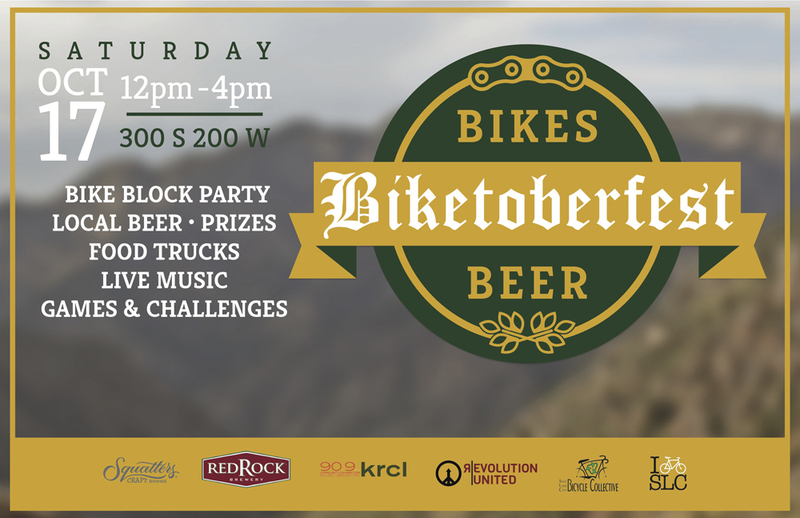 Biketoberfest will be held at 300 S and 200 W in Salt Lake City on October 17, 2015 from 12 to 5 pm. October 14, 2015 – Biketoberfest, a celebration of bikes, will be held on Saturday, October 17, 2015 200 W and 300 S in Salt Lake City, Utah. The event will feature local beer, food trucks, live music, bikes and more. 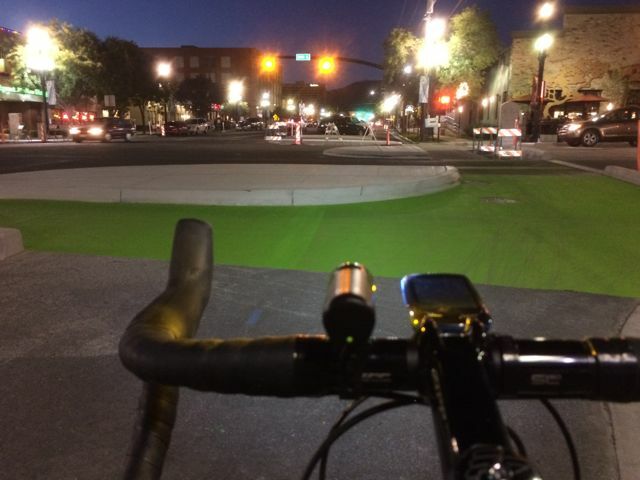 Salt Lake City is completing their second protected bikeway on October 15 on 200 West. The route features a first in the nation protected intersection at 200 S and 200 W. The new protected bikeway complements the recently completed protected bikeway on 300 S.
Biketoberfest is a community block party celebrating the opening of Salt Lake City's “protected intersection” and the completion of the 200 West street improvements downtown. The block party will close the intersection to vehicle traffic from 12pm to 5pm on Saturday October 17, and will include music from four local bands, bike games and challenges, tunes from KRCL 90.9, family-friendly activities, food trucks, and local vendors. Local beer and food will be available at the many establishments near the intersection, including Red Rock Brewing, Squatters Pub and Brewery, Poplar Street Pub, and Zest Kitchen & Bar. The event is organized by a coalition of community members active in the bicycling and non-profit communities, including community organizers from local non-profit Revolution United, from the Salt Lake City Bicycle Advisory Committee, from the local bicycling community, and with support from the Salt Lake City Transportation Division. Local leaders will be at the event at from 3:00 to 3:30 pm to help celebrate, and will include Mayor Ralph Becker and Wasatch Front Regional Council Executive Director Andrew Gruber, and leaders from the Utah Department of Transportation.